Choosing the right diamond takes experience, skill and time. 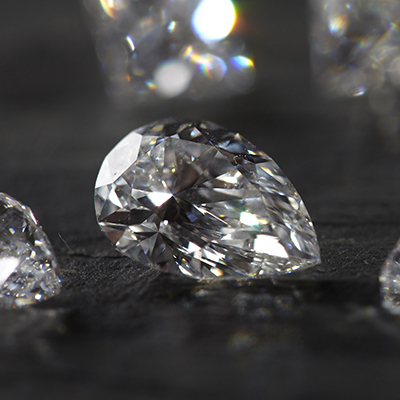 So it's no surprise we've made sure that our Pravins diamond experts have been carefully trained to select only those diamonds that are a cut above the rest. There are many different factors to consider, as described below. The term cut is used to describe the accuracy of the angles and proportions of the facets of a polished diamond. This accuracy governs the interaction between the diamond and light, greatly determining the diamonds overall appearance. Put simply, more accuracy equals greater brilliance. A well-cut diamond allows the maximum amount of light entering through the top of the diamond to be reflected back to the viewer, resulting in a high level of brilliance and fire. Well-cut diamonds are more sought-after than those that are too shallow or deep. 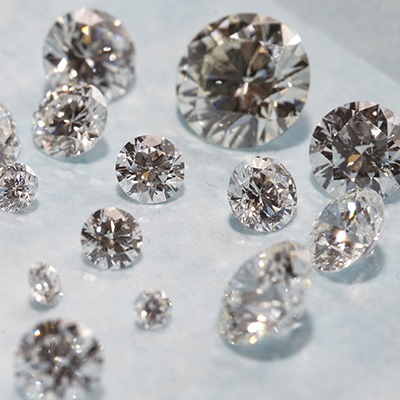 As the only factor influenced by man, Pravins are extremely particular about the cut grades we select for our diamonds; we certainly encourage all clients look closely into the final cut grade of any diamonds they are considering buying. The trace of colour often seen in white diamonds is caused by the presence of nitrogen atoms. With the exception of fancy-coloured diamonds, as little colour as possible is desirable. Colour is graded using the GIA scale from D to Z, as shown below. Some diamonds can exhibit a phenomenon known as fluoresence under ultra-violet light. The passage of light through a diamond can be affected by the presence of inclusions. Inclusions, otherwise known as birthmarks of time or internal characteristics, are natural traces of the growth history of a diamond. Their appearance is recorded by the clarity scale shown below; clearer diamonds are more valuable than those with many or large inclusions. Sometimes known as the 5th C, certification refers to independent laboratory certificates that are available for most diamonds over 0.30ct. Their purpose is to provide additional reassurance and a record of the characteristics of a particular diamond. Bear in mind that some laboratories are more renowned than others, with GIA the most predominant in the industry. Also, the presence of a certificate in itself is not a guarantee of quality. 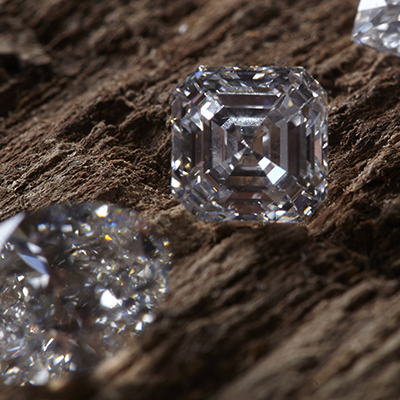 In our opinion, nothing beats taking the time to have a good look at your diamond close up. Pravins ensure that all our diamonds suppliers are carefully vetted to ensure compliance with The Kimberley Process Certification Scheme. We take every possible step to avoid diamonds of unclear provenance. All diamonds sold by Pravins are guaranteed to be natural and free of any enhancement or treatment. Our diamond experts also consider many other factors such as finish grade, symmetry, fluoresence and, most importantly, simply whether the diamond speaks to them or not. All this care and attention is carried out with just one thing in mind; to select the finest diamonds, deserving of Pravins rings and jewellery for our valued clients.